WASHINGTON, D.C. (August 8, 2017) -- The National Association of Black Journalists (NABJ) is pleased to announce the Ford Foundation is granting $150,000 to NABJ to help further the organization's strategic plan implementation. The two-year restricted grant is targeted to executive level staffing and will enable NABJ to continue focusing on issues often ignored by the mainstream media. The association's priorities include jobs for journalists of color, professional development, social justice and advocacy. "Once again the Ford Foundation has provided significant support to NABJ," said NABJ President Sarah Glover. 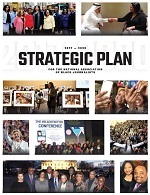 "As we move forward with implementing the NABJ Strategic Plan 2017-2020 with the Ford Foundation's generous gift, NABJ will continue to build strong alliances with other like-minded organizations. This grant helps us further implement the strategic plan by addressing and resolving critical infrastructure issues, while building a stronger organization. 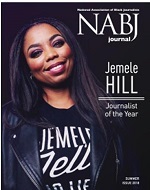 The Ford Foundation's support helps NABJ efforts to make the journalism industry better through the growth and development of our staff and members." The Ford Foundation recently awarded NABJ a $100,000 grant to produce the NABJ Strategic Plan 2017-2020. President Glover created the NABJ Strategic Plan Implementation Committee, led by NABJ Founder William Dilday, to assist the organization with putting its five pillars into action -- Financial and Organizational Sustainability, NABJ Jobs, Training and Professional Development, Advocacy, Special Projects: Convention City Site Selections. The committee is tasked to present working recommendations to the NABJ board and staff and to provide quarterly assessments of the association's progress. These additional funds will assist NABJ with staff building at the executive leadership level.